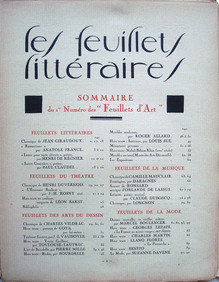 Each issue contained only five or six pages of text covering articles on contemporary literature, theater, music, and fashion. 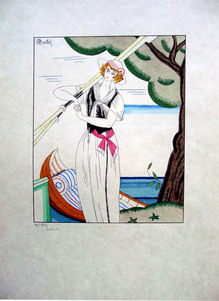 A pochoir print was also inserted “for the beauty alone” designed by some of the greatest illustrators of the day, such as Georges Lepape, George Barbier, Édouard Halouze and Charles Martin. 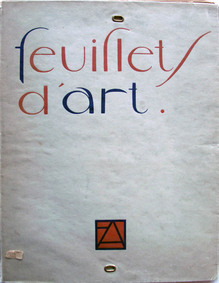 Literary contributors include Marcel Proust, Paul Claudel, Jean Giradoux, Paul Valery, Jean Cocteau, and Anatole France. 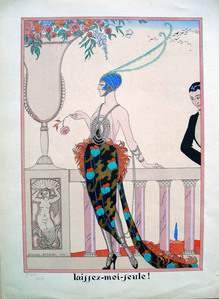 During the same period, Vogel’s wife Cosette de Brunhoff worked as editor of the French Vogue and Vogel served as art director from 1922 to 1925. 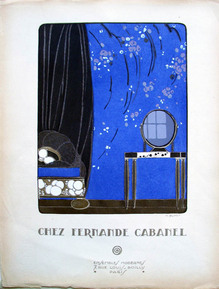 If that was not enough, in 1920 he and his brother Jacques founded a perfume company named Vigny, after the poet Alfred de Vigny, with such fragrances as Golliwog, Chick-Chick, Guili-Guili, and Be Lucky. Vogel was an inspiration to us all. Thanks for posting such unique imagery. 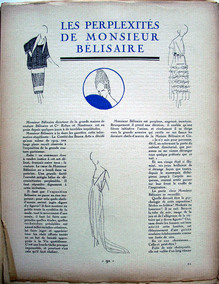 I am interested in the issue #2 31 Aug 1919. A Maurice Ravel composition "Frontispice" was included. Was the issue withdrawn due to copyright infringements? Did the issues have to be destroyed because of this and are they quite rare?